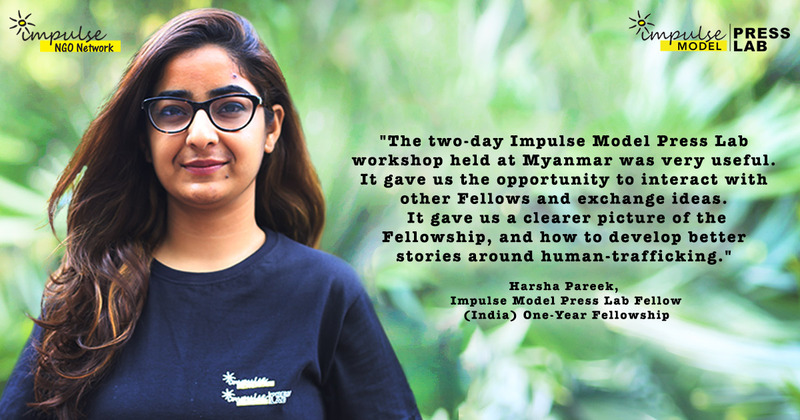 Harsha Pareek began her career as a journalist with Guwahati-based news channel, Northeast Live, as a reporter and copyeditor. She has worked in New Delhi with web news channel, Hind Kisan, writing and editing articles, video-editing and reporting on issues in rural India. She presently works as a content specialist with East Mojo, a Guwahati based web news channel. Pareek completed a Masters in Communication and Journalism from Guwahati University, specialising in rural communication. She has travelled in the remote areas of Kamrup district, conducting surveys with villagers to assess living conditions and access to basic amenities of marginalised communities. Her focus on rural development has lead to her to pursue her interest in the issue of human trafficking as a journalist and reporter.